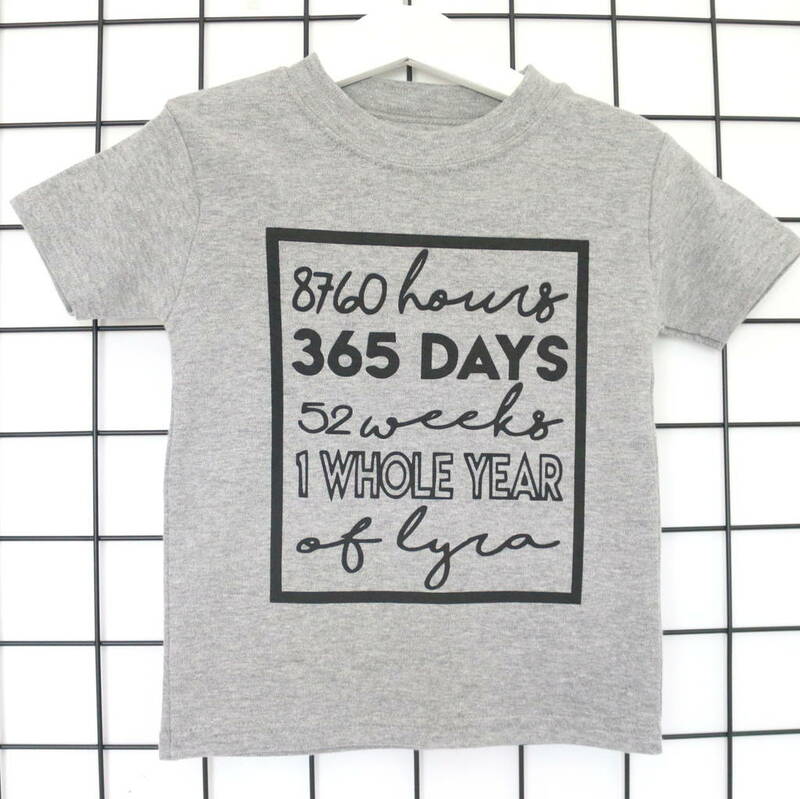 Personalised name 1st birthday screen printed t shirt. 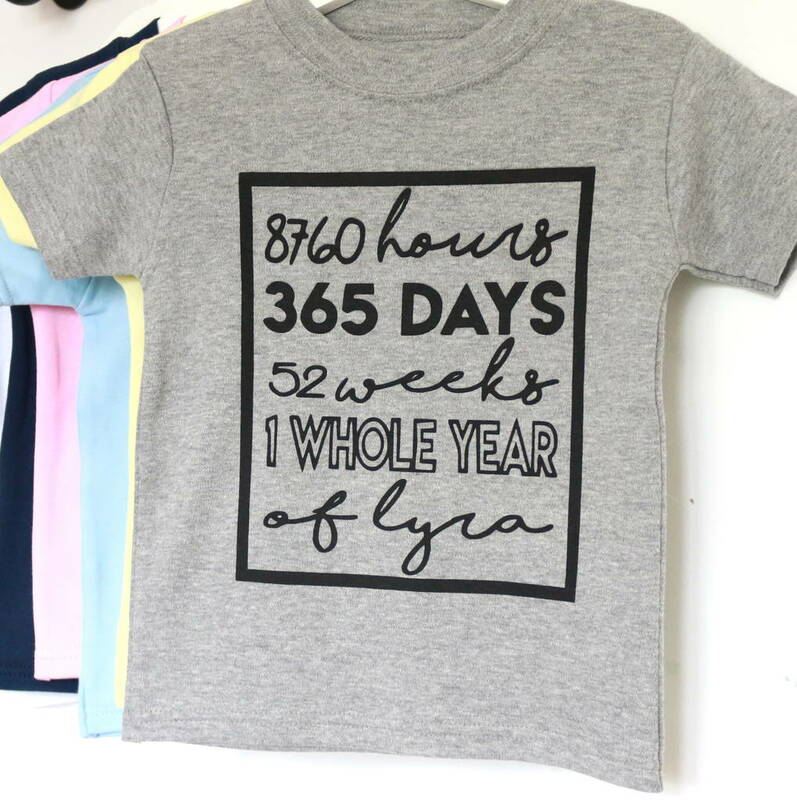 Our birthday t-shirt puts time into perspective and is the perfect top to wear on their big day and beyond. Our t shirts are hand screen printed using eco friendly inks onto a soft cotton t shirt. Meaning the design becomes part of the fabric which washes and wears beautifully. All of our quirky designs are dreamt up in house and are unique to Marloweville. We have a huge colour range to choose from to make your t-short SUPER unique. You have a choice of both t-shirt and ink colour. 100% cotton t-shirt printed with eco friendly water based inks. 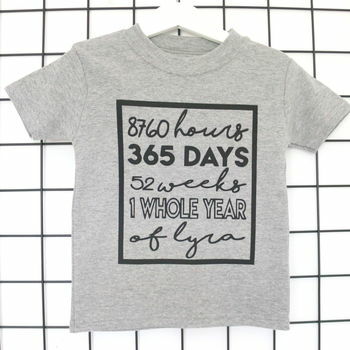 Sizes are 0-3 months, 3-6 months, 6-12 months, 1-2 years, 2-3 years, 3-4 years, 4-5 years, 5-6 years, 7-8 years and 9-11 years.